Real-time and embedded systems are in widespread use in the modern world. From the microprocessor controller in a camera, through "smart" traffic lights and production control systems, to large defense systems, computer technology is increasingly a part of systems that control and respond to their environments in real-time. As the technology has improved, we have come to rely on these systems more and more --- we have even put our lives in their hands. Airplanes, biomedical accelerators, nuclear power plants, and the like all depend on real-time control to operate safely. A failure in a control system, such as not responding correctly to faults in the environment, could endanger many lives. Unfortunately, there is a tendency for developers to focuse too heavily on the intrcacies of the engineering and computer technology, to the detriment of understanding the real-world problem at hand. At best, this wastes time and resouces and at worst it is dangerous in light of the life-critical nature of today's systems. This misplaced focus can result at least partly from the lack of a comprehensive set of modeling tools and techniques fitted to the real-time development environment. 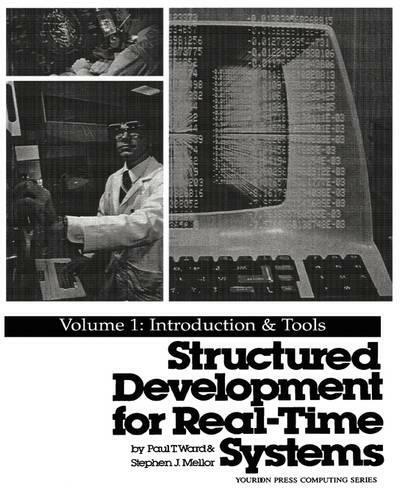 This book provides the tools and techniques needed for visualizing and verifying the operation of a real-time system prior to construction, and demonstrates their usefulness.